No 60 Eryri, No 4 & L5, Gelert's Farm, Porthmadog, Sat 29 May 2010. No 4 is Motor-Rail 60S333 / 1966 [Anne Marie]. 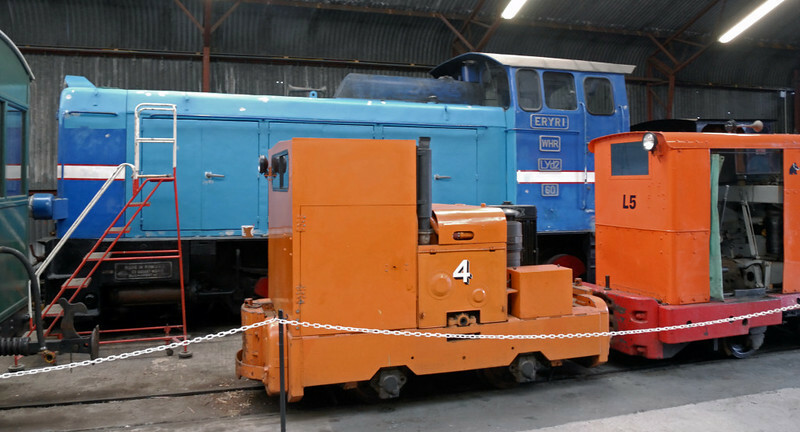 The WHHR has acquired three Romanian-built LYd2 350hp diesel hydraulic 0-6-0s from the Jarocin Rly in Poland. No 60 was built in Bucharest at the 23rd August Locomotive Works (23389 / 1977). Its cabside now carries a Welsh name (Eryri = Snowdonia) with a WHR badge below it.